Eighties jangly pop fans of the world reunite, ex-Smiths guitarist Johnny Marr is back, and back at his best, working with the likes of Oasis and the Pet Shop Boys. Not only that, in true once-was-famous-in-a-supporting role fashion, he’s now also fronting his own rock outfit, The Healers. SEAN HANNAM grabs a rare audience with the secretive godfather of indie. This year, it’ll be difficult to avoid Johnny Marr. The former Smiths guitar hero has contributed to Oasis’ newly released album, Heathen Chemistry, Pet Shop Boys’ Release, and folky comedown queen Beth Orton’s latest long-player, Daybreaker. He’s also produced the debut album from up-and-coming, moody indie act Haven, and found the time to front his own back-to-basics rock ‘n’ roll band, The Healers. In fact, Marr’s work can be heard all over Pet Shop Boys’ Release, which heralds a new, guitar-oriented direction for the electronic dance-pop duo. “Yeah, I’ve done their new album and I’ve recorded some stuff with Liam from Oasis, so I think a couple of my guitar parts have ended up on their record,” he says. Does he ever get sick of being a gun-slinging, guitarist-for-hire? “I’ve never sat down and planned collaborations,” he says. “They’ve always come about from having something in common – a friendship. Last year, Johnny unleashed the debut single from his new band, The Healers. It was the first time he’d written, played and sung one of his own songs. The Last Ride saw him shelving his tried and trusted, jangly sound for a heads-down, greasy Led Zep groove. It was also miles away from the hedonistic House and Euro disco territory he’d explored with New Order’s Bernard Sumner in the duo Electronic. Aided by musicians including former Kula Shaker bassist, Alonza Bevan, and Ringo Starr sprog, Zak Starkey, on drums, Johnny created an enormous, filthy drone-rock boogie, built on an FX-heavy wall of sound, with some blissed-out vocals reminiscent of Ray Davies. “I was really interested in getting back to the thing that was in me when I was in my early teens,” says Marr. ” I don’t want to be retro, but I want to rock. I want to get back to the notion of energy. I started to listen again to the music that had some balls to it – T Rex, The Stooges, early David Bowie. I have a massive respect for old records, but I don’t wish it was 1969 again. I just find that there’s a primal thing which you get from some records by The Rolling Stones, Peter Green and The Stooges that shows up today’s music industry for what it is – just soap-powder. Ah, The Smiths; one of the biggest successes of the Eighties. Marr and flouncy frontman Stephen Patrick Morrissey will be remembered as one of the greatest songwriting partnerships of all time – Marr penning intricate guitar melodies to accompany Morrissey’s sometimes tragic, sometimes comical lyrics of sexual frustration, inadequacy and alienation. Between 1982 and 1987, The Smiths recorded four brilliant, ground-breaking studio albums which became the soundtrack to student bedsits everywhere and paved the way for a whole legion of indie guitar acts, including Oasis and Blur. The Smiths split in 1987, when Marr grew disenchanted with the band’s musical direction, and his relationship with Morrissey disintegrated, ending in bitterness. However, their legacy still lives on and often returns to haunt Marr. In 1996, former Smiths drummer, Mike Joyce, took him and Morrissey to court over unpaid royalties – a situation Marr now describes as ‘very ugly’. Last year, record company Warner Bros upset him when they released yet another Smiths Best Of compilation album, with an unfortunate cover shot featuring camp Carry On star Charles Hawtrey. “The Smiths’ back catalogue has been spectacularly tarnished by Warner Bros,” says Marr. “They mastered the album really badly, they misspelt song titles, got the producer’s name wrong, chopped off one of the intros and put on an unbelievable sleeve. Johnny is now surprisingly open about his time in the band. For a long time he refused to talk about what had actually happened between him and the other band members. Following the demise of The Smiths, Marr became a guitar-for-hire, lending his services to a long list of artists. Throughout his post-Smiths career he’s worked with acts including The Pretenders, Bryan Ferry, The The, Billy Bragg, Kirsty MacColl, Beck, Neil Finn and Echo & The Bunnmen’s Ian McCulloch. “I’ve got a strong friendship with everyone I’ve worked with – apart from one obvious exception – which shows you just how dysfunctional The Smiths were,” he says. Marr was actually a fully paid-up member of The The for three-and-a-half-years, appearing on both the Mind Bomb and Dusk albums. 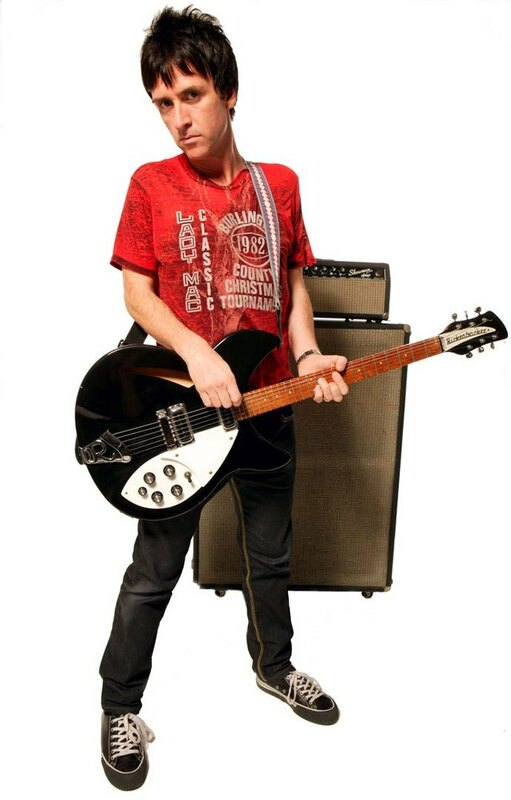 Over the years, Marr had been approached on several occasions to record a solo album, but he’d resisted, believing the time wasn’t right. However, something clicked when he met Zak Starkey. “It would have been easy for me to just bang something out, but I have to be passionate about what I’m doing,” he says. So, we won’t be queuing up for any Smiths reunion gigs just yet, then? This article originally appeared in Upfront magazine – 2002. 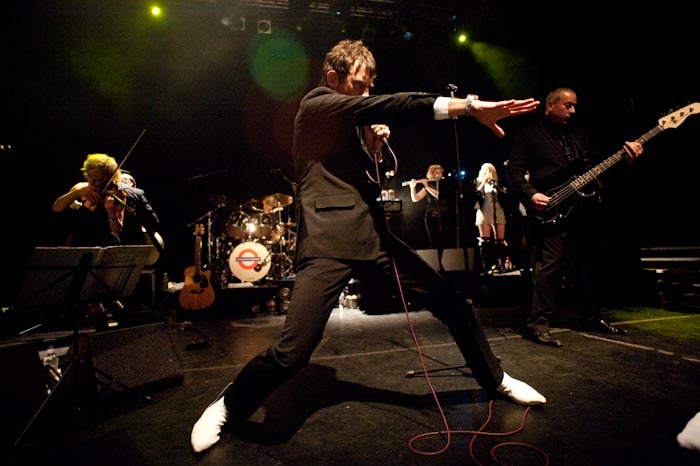 Last month, Britpop’s most glamorous band, My Life Story, made a triumphant comeback at Koko, performing their 1994 debut album, Mornington Crescent, in its entirety. Backstage, Sean Hannam spoke to front man Jake Shillingford about the birth of Britpop, Camden nights and why he used to dress like Tommy Steele – even when he nipped into Sainsburys. If there was ever a time when we needed Jake Shillingford and his orch-pop army My Life Story more than ever, then it’s now. Indie music is in a dire state, made up of dour, identikit ‘landfill’ bands with no glamour, stage presence, ambition and – let’s face it – memorable tunes. So, thank god, after two years, they’ve reformed, principally to play a special live show at Camden’s Koko (formerly the Camden Palace). Over 15 years ago, Jake wrote the songs that would end up on their 1994 debut album Mornington Crescent while working on the door at the venue. Now, fittingly, he’s back with his band, playing those very tunes in the place where he penned them. For one night only, My Life Story are performing Mornington Crescent in its entirety – including some songs that have never ever been played live before. To paraphrase one of their early songs, they’re going to stand triumphant. With the current indie scene how it is, it’s just like being back in the early ’90s, during the beginnings of Britpop, when Jake took on grunge armed with a cheeky smile, a kiss curl, high kicks, splendid suits and a bunch of bold, brassy, bombastic and grandiose tunes that sounded like Scott Walker and Anthony Newley on a tour of London’s seedy underbelly. To put it quite simply, it’s great to have them back. “The indie scene is completely dead, with terrible, terrible bands like Scouting For Girls and The Wombats. Any scene gets the life thrashed out of it. At the end of it, it’s made up of lots of bands who aren’t really part of the scene who get signed to major labels – they’re mimicking the bands that went before,” says Jake, speaking backstage before the band’s big comeback show. So if he’s such a fan of contemporary pop music, rather than indie, how does Jake feel about The X Factor? “I love The X Factor – I think it’s a brilliant TV show. I’ve got nothing against it – it’s a pantomime and I’ve always loved panto and theatrics. What’s interesting is that to a certain extent it’s choking the A & R process. Who would have ever dreamed that there would be a TV show about A & R being watched by 10 million people. I find it amazing that people are interested in the process of A & R.
It was an interesting time, too, back in the late ’80s and early ’90s, when Jake was hanging out in Camden and sowing the seeds for what would turn out be the birth of My Life Story and then, later on, the Britpop movement. “I used to work on the door of the Camden Palace for two hours, earning ten pounds an hour – in cash. I was employed there because I was becoming quite well known in the Camden Town area in the late ’80s and early ’90s. It was way before Britpop, but there were little seeds going on. I used to hang around with Paul Tunkin – the DJ who started Blow Up,” he recalls. “At the time, Mornington Crescent Tube station was closed. I was living in Belsize Park and I used to travel down a few stops on the Northern Line – a lot of the Tube references in my lyrics come from around then. At the time, there was a campaign by the London Underground to put art and poetry on the Tube. If you look at the back of the album sleeve [of Mornington Crescent] you can see the bits of rubble from where they tried to rebuild Mornington Crescent. It was like the rebuilding of Camden – previously Camden had become a bit of an original R & B place.People like Buddy Guy and Junior Wells played in Dingwalls. At that time, a lot of us did feel that something new was going to happen – we just weren’t too sure what it was. Wonderstuff and then some house record or something shoegazing like Paris Angels or Slowdive. It didn’t seem to fit together – the late ’80s and early ’90s was a funny time. There didn’t seem to be a focal point and there didn’t seem to be any bands coming out of London. The only band from London that I knew was Carter USM. Central to this movement was the desire to bring back some style and panache to pop music, particularly when it came to fashion. “The journalist Taylor Parkes wrote an article in Melody Maker in ’93 or ’94 in which he said he’d seen me shopping in Sainsburys, wearing a Tommy Steele type blazer and winkle pickers,” laughs Jake. So, how does it feel to be back on stage, performing an album that’s 15 years old? ” ‘Cause we recorded Mornington Crescent so early in the ’90s, I actually think it sounds quite ’80s. We were still using Pet Shop Boys-style samples,” muses Jake. So, this is the first My Life Story Show for two years. Can we expect any more reunion shows? “Lots of bands reform for lots of different reasons. Someone like the Pixies, who’d you think would be all mates and reform for the hell of it, actually vehemently dislike each other. They’re doing it for the money – as are The Police – they hate each other,” says Jake. So what does the future hold for Jake and My Life Story? Will he still be high kicking and camping it up on stage in 15 years’ time? “You have to be careful with nostalgia, but there’s no reason why we can’t keep on playing. Performing in this size venue [Koko] was as big as My Life Story got anyway. What we will not do is milk it, like a lot of bands do. They come back, play a big gig and then you end up seeing them at The Garage or something. “My new thing is that I’m really getting into being a songwriter. Written Large [his solo album] was the beginning of that process. I’m really pleased that Written Large and all the Exile Inside [his post My Life Story project] is up on Spotify now. The next step for me is to write for other artists. I’ve been talking to Polly Scattergood, who’s just signed to Mute, about writing together.